It’s not the Wimbledon Men’s Singles Final that anyone was expecting, but let’s take a look at the Kevin Anderson vs Novak Djokovic odds. Like the six preceding Grand Slams, everyone anticipated another Roger Federer or Rafael Nadal masterpiece. 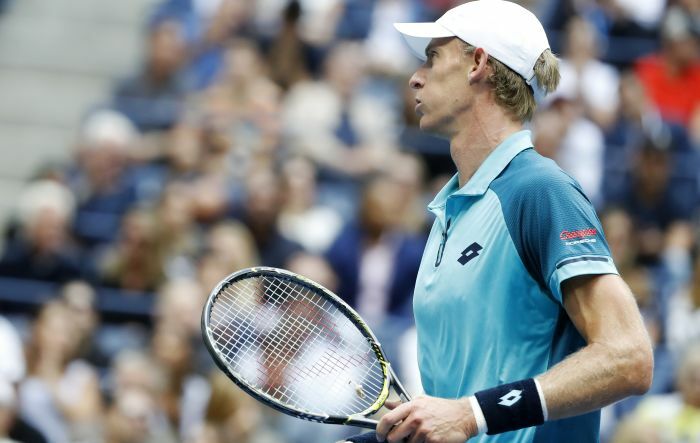 Anderson had only gone past the quarters of two before, while even 12-time Slam winner Djokovic hadn’t reached the final four of one since 2016. These are your Wimbledon Final 2018 betting odds. The Australian Open and French Open had Stan Wawrinka. The US Open had Juan Martin del Potro and Marin Cilic too. However, since 2003, no men’s player beyond the Big Four of Federer, Nadal, Djokovic and Andy Murray have won Wimbledon. Players have done what Anderson has done and experienced the final – indeed Milos Raonic and Cilic did so in the last two years – but both were dismissed 3-0 by their elite adversaries. The women’s final was settled in straight sets and there’s a reason why South Africa’s first Wimbledon men’s finalist since 1921 is 13/10 to suffer the same fate. Djokovic won four of his last five meetings with the giant without dropping one, including a showdown at Wimbledon. It’s true that the eighth seed also took him to five at SW19 in 2015, but that was a week into the competition rather than after a gruelling fortnight and successive five-setters. Even then, the Serbian cracked the code eventually from 2-0 down, taking the final trio 6-1 6-4 7-5. The 1/5 favourite has an even better final win rate at the grass-court Grand Slam than Federer, winning three of four finals (75%) to the Swiss legend’s eight in 11 (73%). By contrast, 4/1 outsider Anderson lost his sole Slam final 6-3 6-3 6-4 to Nadal at last year’s US Open. These Enhanced Odds are worth checking out because the first set in four of the last seven Wimbledon finals finished 6-4. This included Djokovic’s two that weren’t against Federer. Three of his’s last four opening sets at this year’s edition also registered a 4-2 scoreline.